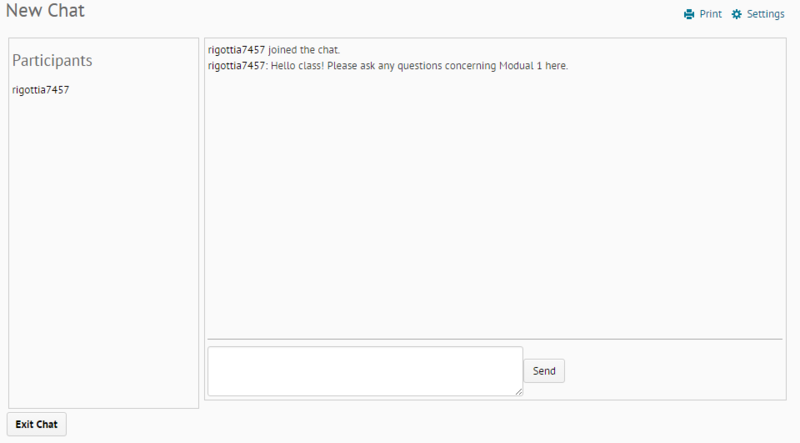 The chat tool allows users to message back and forth about course related questions, comments, and discussions. To access chat select the drop down arrow beside the "Other Tools" option on the navigation bar. Selecting chat will bring you to the chat main page. At this point, you have the choice to either join an existing chat or begin a new chat. To begin a new chat select the "New Chat" option on the chat main page. This will take you to the a screen that will allow you to name and describe your new chat. Complete that information and select the "Create" option. To participate in an existing chat, select the chat you wish to join. This will bring you to a screen with three boxes. The box on the left lists all of the participant in the chat. The top right box displays all posts and who posted them. 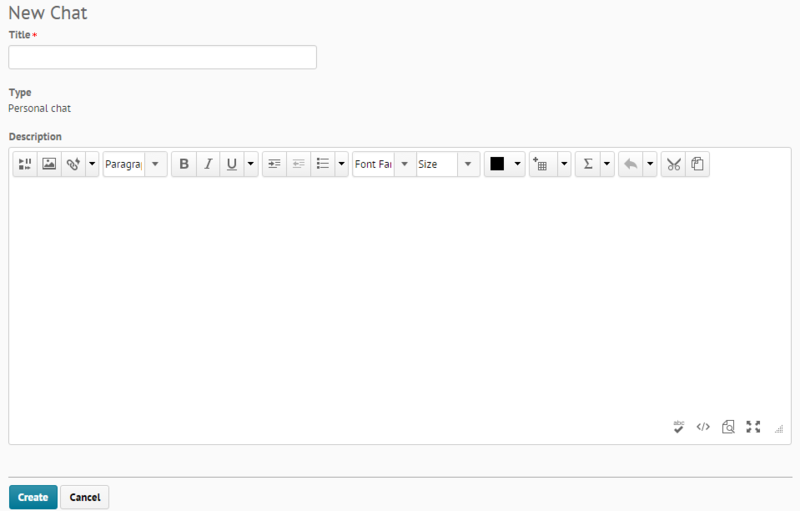 The bottom right box allows you to type your message and send it for your classmates to view what you have to say. At the bottom there is an "Exit Chat" option that allows you to leave the chat at any time.